n keeping with its nature of setting trends for the rest of the DTH industry to follow, d2h has added 6 new Asli ""HD"" channels taking their total count to 36, the highest among all its competitors. d2h strives to add value to television viewing experience by providing new age features and the maximum high definition channels with superior services and technology. d2h is now offering the following 6 High Definition Channels: History TV HD, M Tunes HD, CNBC Prime HD, UTV Stars HD, Active 3D, Sony HD (starting 27th May), to add to its existing 13 Asli ""HD"" channels. Now, more and more channels are commencing their HD feed taking the concept forward. 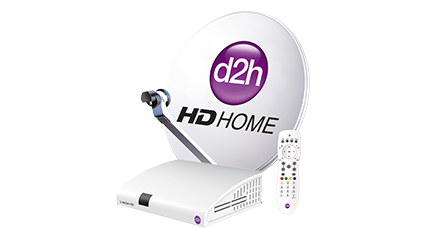 d2h now offers maximum number of 368 channels and services. d2h strives to add value to television viewing experience by providing new age features and the maximum high definition channels with superior services and technology. All the Asli High Definition channels which d2h have 1080i resolution, 5X Digital Picture Quality, HDD Sound with 16:9 wide aspect ratio and other features. d2h broadcasts these channels using the cutting edge MPEG -4 DVBS-2 compression technology. Mr. Saurabh Dhoot, Director - d2h group said ""It feels highly ecstatic to be offering the highest number of Asli ""HD"" channels in the sector. 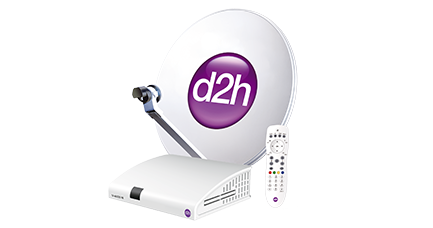 d2h believes in presenting viewers the finest quality and transforming their television viewing experience and we are backing that with our product offering. The Asli ""HD"" channels offering across various genres right from entertainment, sports, infotainment, movies, business will take the entertainment quotient of a viewer to the next level"". d2h has kept their promise of delivering quality services, continuously raising the bar and adding value to the viewer's experience. 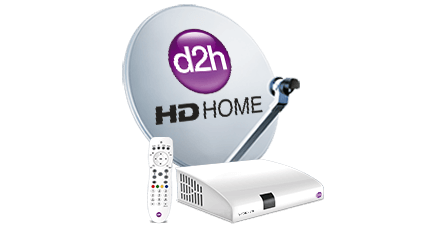 Mr. Anil Khera, CEO d2h added on the channel addition added ""d2h believes in offering their customers the most premium content and by now offering highest number of 36 Asli ""HD"" channels, we have fulfilled our promise of surpassing expectations. d2h subscribers can now enjoy High Definition Channels of various genres much more than other DTH players. This promise of giving the best of channels and services across genres has built trust for brand d2h and we will continue striving to achieve customer delight."" In addition, d2h is also the title partner of Kings XI Punjab for this season's IPL and is showing DLF IPL in high definition on MAX HD for its viewers. d2h is close to 6 million subscriber base is the youngest to achieve the milestone. It is the fastest growing DTH service provider offering 368 channels & services, the highest in the country. d2h also has highest number of Asli ""HD"" channels, highest number of sports channels, leading GEC channels & highest number of regional language channels on its platform. Powered by the MPEG-4 and DVB-S2 technology, d2h offers unmatched services like 12 PIP Mosaic, Movies on Demand (MOD), weather updates and multiple tickers to transform your TV into a hub of entertainment and knowledge. It offers High Definition channels in 1080i Resolution, HDD Sound, 5x digital picture and 16: 9 ratio. Apart from these, it has Active Music which includes 21 Audio / Video music channels 24 hrs a day in different genres which is unique service. In addition, d2h provides round-the-clock prompt and efficient customer support in over nine languages from the dedicated customer care team present in 7 locations.